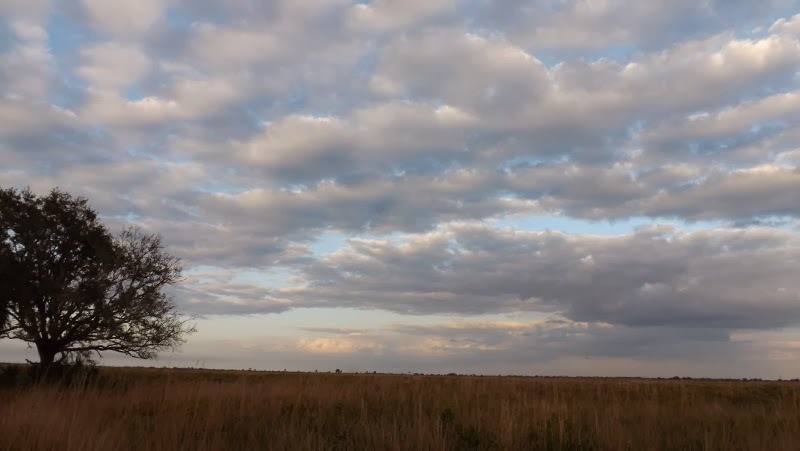 We try and spend some time in Kissimmee Prairie State Preserve each year. It is a favorite. Why? It is small. 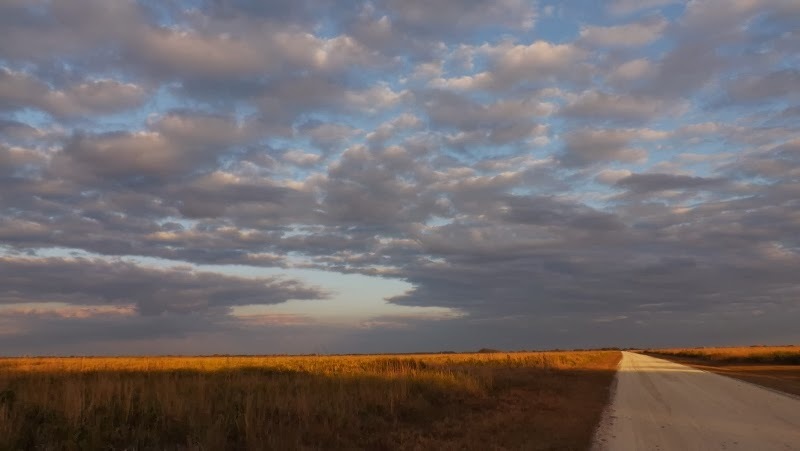 It is in the boondocks of interior Florida and we love the boonies. It is a night sky park. It has a nice selection of trails to walk or bike on. It has cheap laundry facilities. 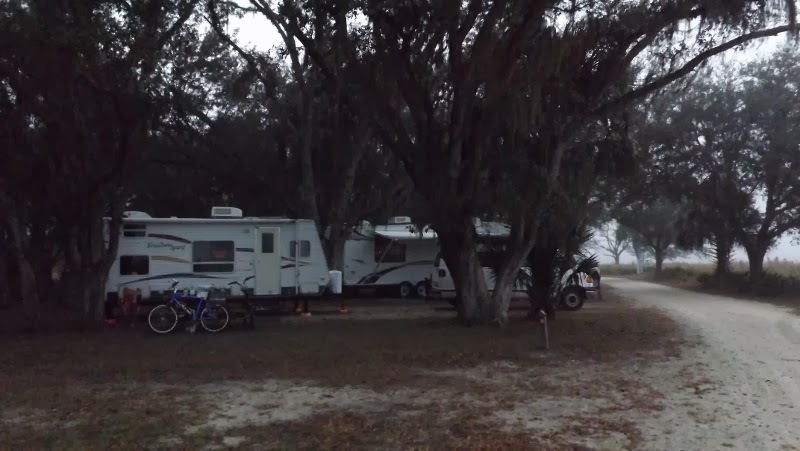 And it is the cheapest park in the Florida State Park system (at last check). This year we chose to camp in the Horse Campground...meaning you can camp with your horse! There was only one horse there while we were there but lots of snowbirds. 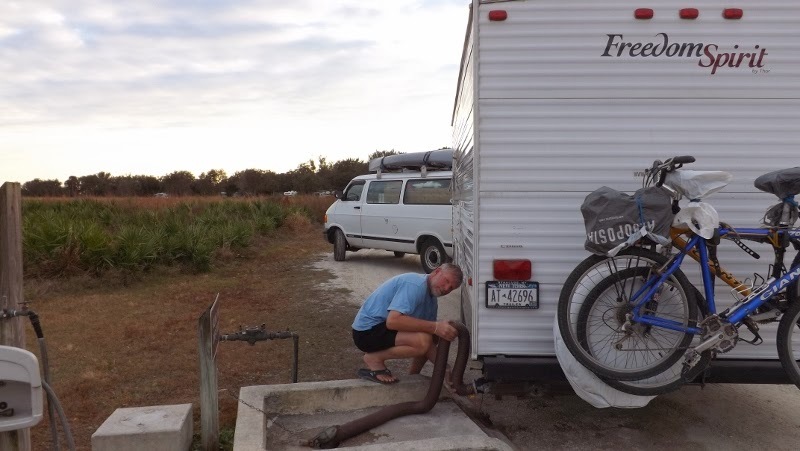 ﻿﻿﻿﻿﻿﻿﻿﻿The only negative for this campground is that it is far (about 43 miles from the nearest grocery store) so you are not running out to get anything. I plan meals ahead and bring in all food. On a side note, David was in the Park Office when someone came in to check in and asked where to get groceries. They hadn't brought anything; I guess they didn't notice that there was NOTHING on the way in for quite a ways no matter which direction you came from. The Park employees answer was, "we have ice". They were going to have to drive 40+ miles to get their food....or stop at a little convenience store about 10 miles away. Horse Campground of Kissimmee and "the box"
The park offers prairie buggy rides that we have gone on in the past to get information about the park. It was very informative and highly recommend. We had to make an advance reservation to ensure we got a spot. There were a few times that the buggy was "down" for repairs also. ﻿﻿Our Verizon cell phones worked here; internet was slow but usable for getting emails. This has been coldest and rainiest year in Florida. We usually expect only maybe 5 days of rain (and not full ones...feels like I am in NY).